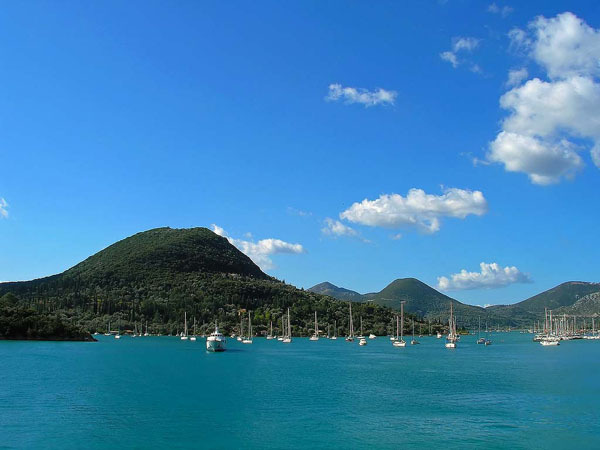 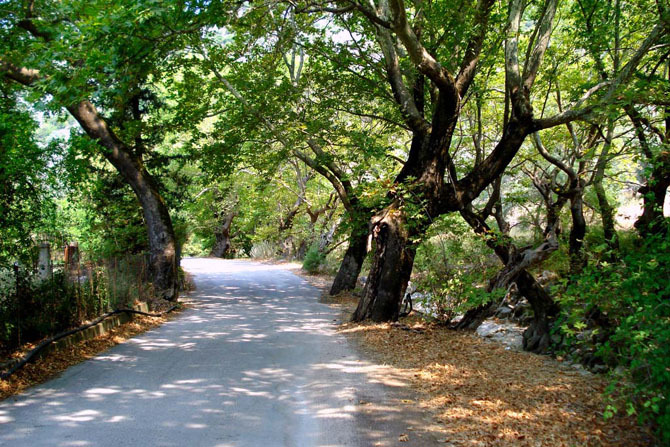 Nydri is located in the east of the island opposite Scorpios (the island that belonged to Aristotle Onassis) and the rest of the "Prigiponisia" of Lefkada Meganisi (which is the largest of the complex), Skorpios, Skorpidi, Sparti, Madouri (owned by the Valaoritis family) , Cheloni and Tsocari. 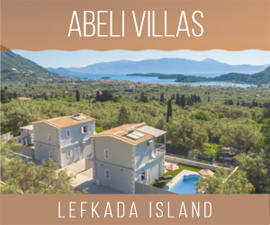 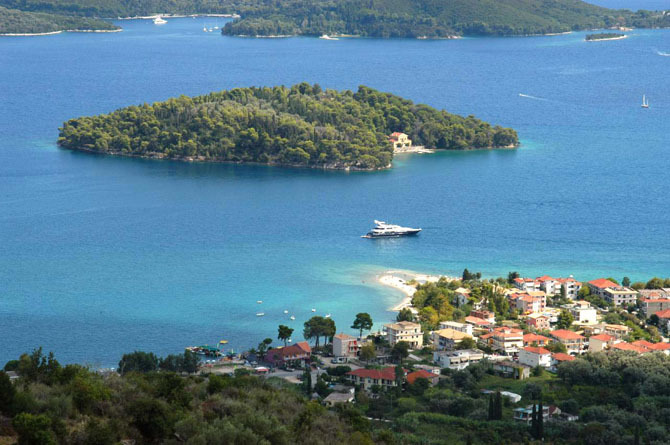 From here you will get the boats that make cruises with stops at some of these islands, beaches of Lefkada, the cave of "Papanikoli", Kioni at Ithaca and Fiskardo at Kefalonia. 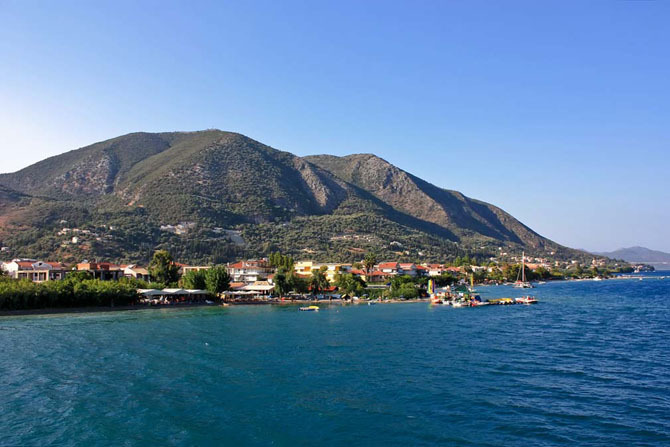 From Nydri there is a ferryboat leaving for Meganissi and Ithaca-Kefalonia when the ferries do not leave from the port of Vassiliki. 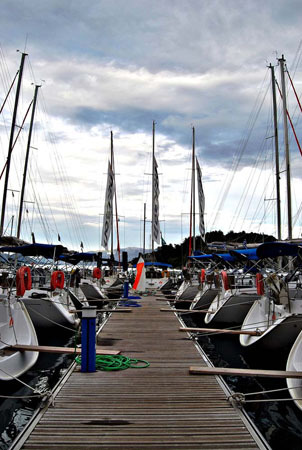 At night the beach-port is crowded, avoid the tourist traps if you want to sit somewhere to eat.